When we were at language school (which seems so long ago now) we had many opportunities to meet people from all over the world who had come to Bolivia to serve. It was great to hear their plans and ideas for their time here and even better that we have been able to keep in touch with many of them. One such couple were Kathy and Rick Alseth and their 4 children. 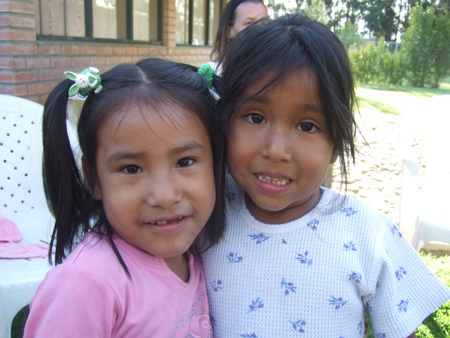 They were learning Spanish at the same time as us and had come to Bolivia from the states – originally for 6 months, but they are still here 18 months later. 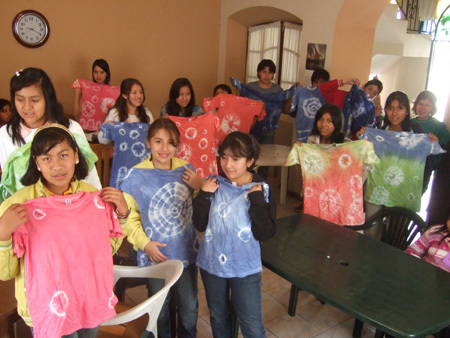 They started off doing a project in the central plaza of Cochabamba where they would set up a tent-like marquee . With the help of a generator, to provide hot water, they would invite poor families from the city to come and wash themselves and their clothes. The Alseths would specifically do baby washing and basic medical checks whist the mothers washed clothes and sometimes had their hair trimmed. It was like a production line – the children would go in dirty and come out the other side fresh, washed with clean clothes. 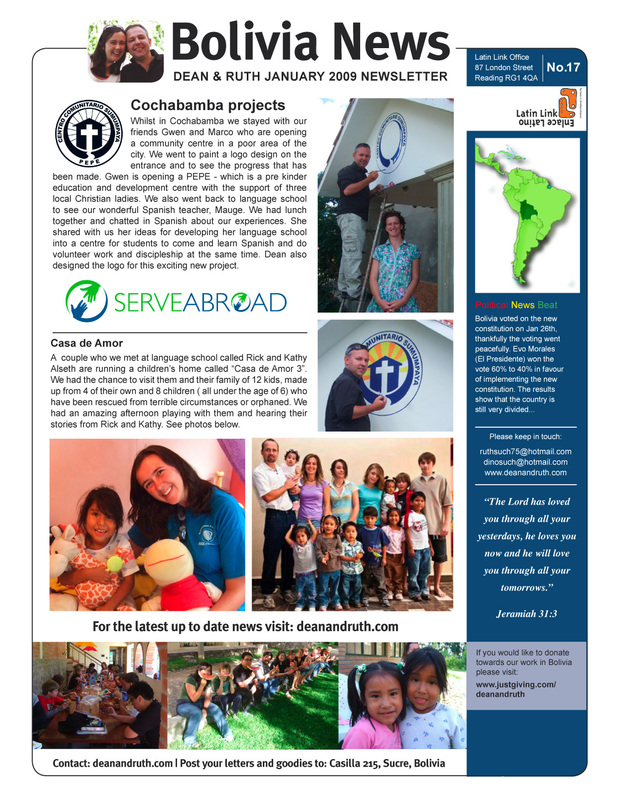 Just about as they were going to go back to the states they were asked to become “house parents” at an orphanage called Casa de Amor 3 – the house of love. They didn’t have enough money to stay here, but prayed and amazingly God provided them with the support to serve in this project. The house is situated on the 11th Kilometer of Cochabamba – meaning quite a way from the centre. They have been given the use of a house with an enormous garden for a year whilst the owners are away on leave. They started with just a few children in their care… most who had serious behavioural problems brought on by horrific traumas. 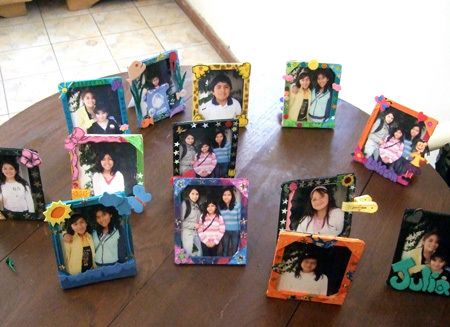 Their family then grew and grew until they now have 12 kids – 8 orphans and 4 of their own. The orphans range from just 8 months to about 6 or 7 years old. We went and had a look around and each child proudly showed us their bedroom and backpack of “special things”. Rick and Kathy shared with us some of the stories. Some of which are too sad to include in this blog. There was one little girl whose mum was a glue sniffing addict. She was unable to cope with having a baby and used to force her baby to sniff glue when she cried to put her to sleep. This has effected her cognitive development. Another little boy lived high on the alti plano with just his grandfather, when he arrived at the home he had to have almost all his teeth removed as he had severe abscesses and infections in his gums. He underwent dental surgery and is making a good recovery, although his speech development will be affected until his adult teeth start growing through. 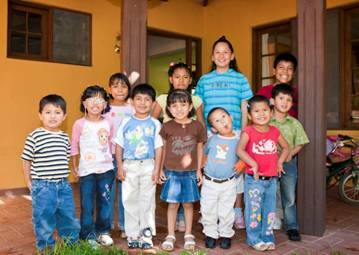 The amazing news is that all these children are “paper ready” for adoption here in Bolivia. The aim is to find homes for them all within a year. 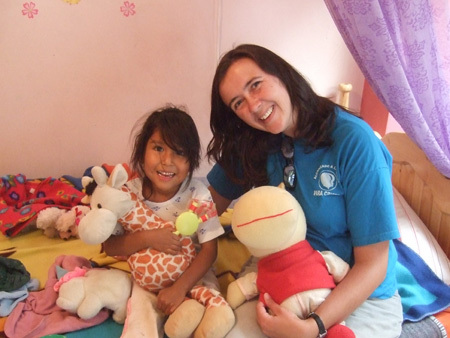 Whilst we were there in Cochabamba, we heard that two children from the Casa de Amor homes have been found families, including one beautiful little girl who was born with HIV. We really thank God for the outstanding work that is being done with the Alseths and their family and the love and security which they are able to provide. We did drama workshops, games, glass painting, tie dying, sewing, making friendship bands, constructing elastic band cars, making photo frames and drawing. 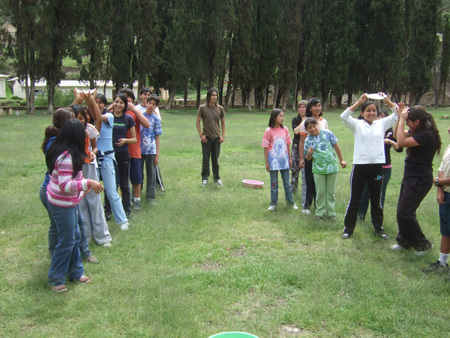 On the last day of the week we went to a local “park” called the Glorieta to have a treasure hunt and outdoor games and finish with a picnic. It was really good fun getting to know some of the teenagers from the church. 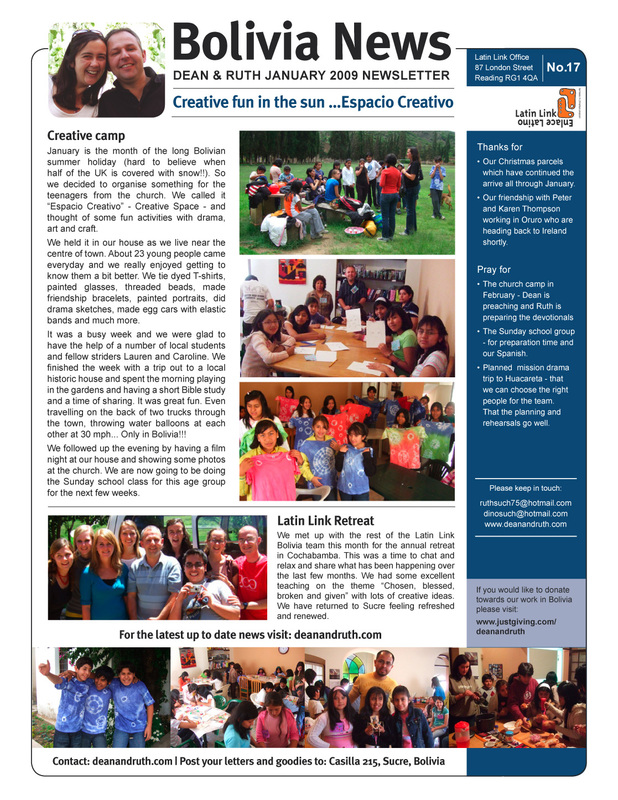 Here is our latest newsletter for all we’ve been up to in January. You will need to open each page separately and click again to enlarge. Please leave a message as we love to hear news from home.